The two drivers and two passive radiators guarantee great surround sound quality. And the accompanying app gives access to remote control, equalizer adjustment, an alarm clock, and much more. 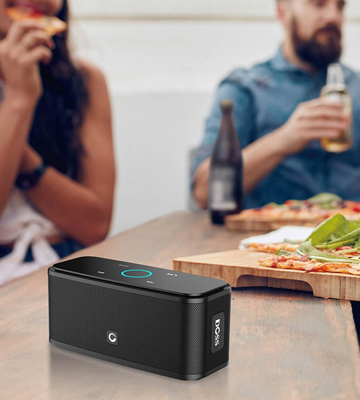 This water-resistant speaker is great both for indoor and outdoor parties and it can get pretty loud for such a compact device. The sound quality is high and the long battery life guarantees that you can party non-stop and enjoy the tunes the way they're meant to be. The built-in microphone and support of voice-controlled assistants gives you a chance to adjust your listening experience without using your hands. The sound quality isn't the highest. This speaker is lightweight and compact with powerful bass, perfect for those who love to party. 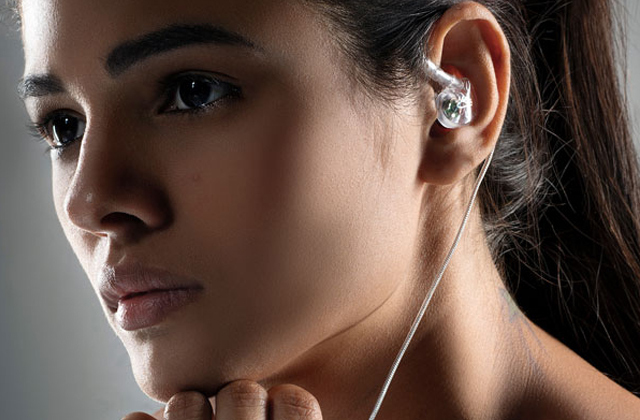 Though it doesn't have the highest sound quality, it's reasonably priced and works a long time on a single charge. 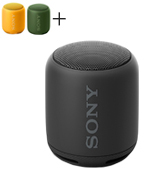 The speaker can be paired with two devices at once or linked to another Wonderboom speaker to create a stereo sound. The loop tends to fray over time. This is a high-quality mini-model that still offers very loud and clear sound and syncs well with all devices. You can juice it up via your phone or let the 10-hour charge run out while you enjoy tunes even while water pours down all around the speakers. If you're ready to pay a bit more, this is a high-end choice for music lovers that can't even imagine taking a shower without their tunes. 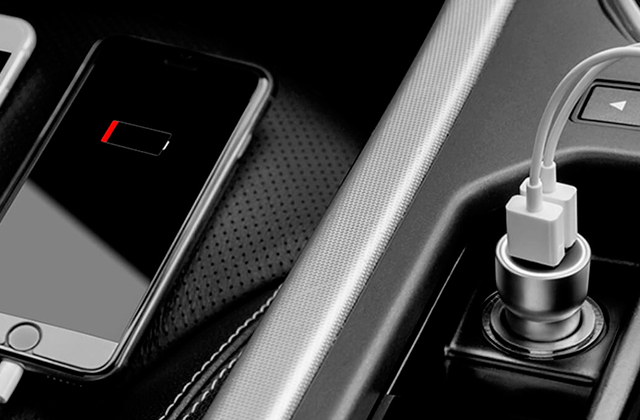 When your smartphone is low on energy and you don't want to risk it with Bluetooth, you can use AUX line connection or a micro SD card to listen to your favourite songs. The volume controls could be more sensitive. 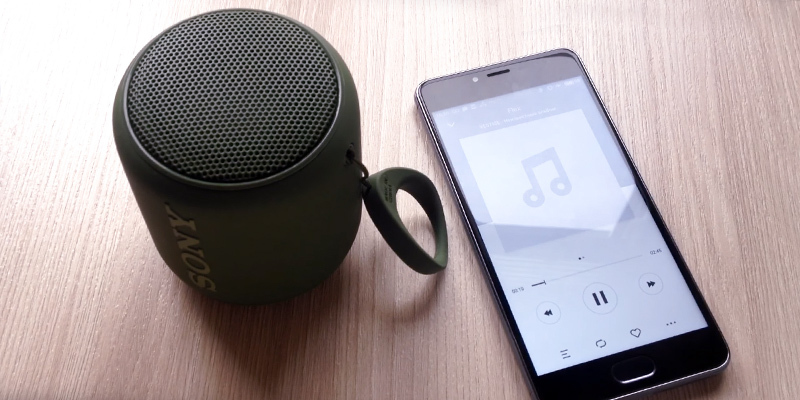 The DOSS portable wireless speaker is a model on the affordable side of the market but it has some features of more expensive options and offers powerful stereo sound. Plus, it takes only 3 to 4 hours to charge. Bringing music along to a party automatically makes you welcome, especially if it’s on a summer night with drinks passed around in a pool. 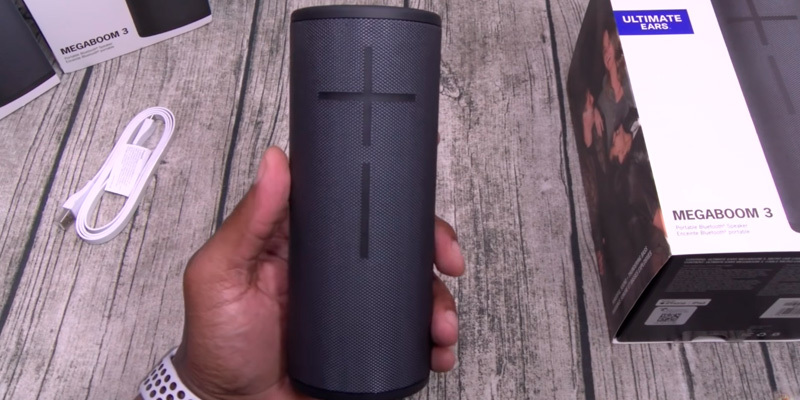 But nobody wants a speaker that’s too quiet to be heard properly and there’s always the danger of the small gadget being dropped into water or getting drinks splashed onto it. Luckily, the Ultimate Ears BOOM 3 kills two birds with one stone. 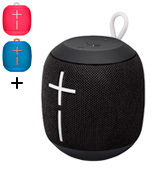 Not only is this compact model water-resistant (enough so that you could listen to it in the bathroom as you shower), it also has surround sound. The two drivers and dual passive radiators here keep the sound travelling farther so even if your home is pretty large, you won’t have to put the speaker volume on the loudest setting just to enjoy music while you’re in a different room. The sound carries well both indoor and outdoors anyway. Controlling the music is also very easy as you get access to a dedicated app that lets you remotely change acoustic options, turn music on and off, adjust the equalizer, and much more. This model is, of course, rechargeable via a MicroUSB port and can run sustainably for 15 hours on a single full charge. That’s enough for a day of listening to music. Since we’ve already covered one port on the speaker, we should also mention that it has a mini 3.5-mm jack so you can enjoy music privately or hook it up to a bigger set of bass-heavy speakers. So if you want the best Bluetooth speaker that’s loud as a motorcycle and has good sound quality to boot, the Ultimate Ears BOOM 3 is a great choice. It’s convenient in use, waterproof, and the only fault we could find lies with the unhelpful instruction manual. This is really a product worth its money, even if it is somewhat pricey. 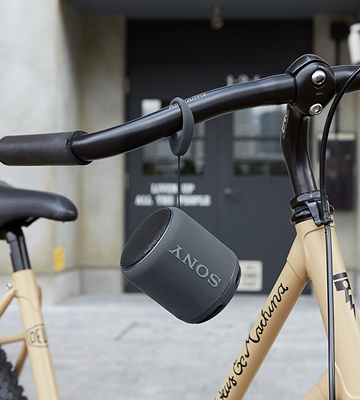 Like all other products from Sony, the construction of this portable speaker is of top quality. The same goes for the quality of sound, which is simply amazing considering that this tiny speaker can fit in a pocket of your jacket. What is more, this speaker has an IPX5 water protection housing that ensures that no rain or other liquid drops will damage the device. Ever wanted a speaker that’s so easy to control that it could even be a viable model for kids? We don’t mean a lack of buttons but rather a model with advanced controls that don’t even require much input. 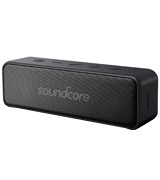 Something like the Anker Soundcore Motion B, for example. 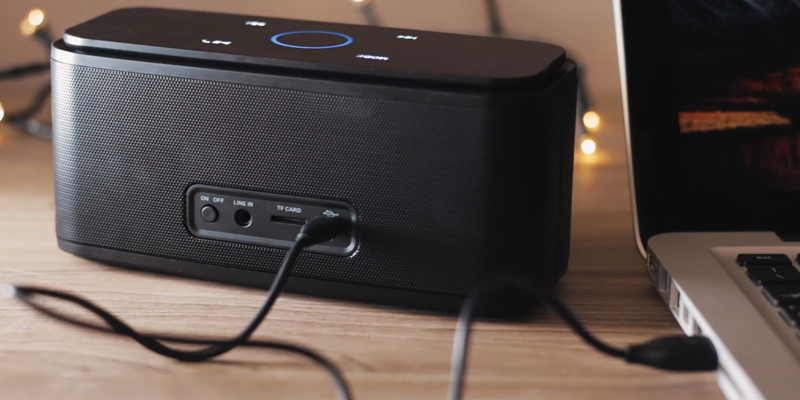 This model’s built-in microphone, coupled with support for Siri and Google Assistant as well as other voice-activated helpers, lets you control your music and playlist without as much as raising a finger. Despite being pretty compact, this is certainly one of the more high-tech models we’ve seen. Sadly, we can’t give the same praise to the sound quality, which lacks a bit of detail and won’t satisfy experienced audiophiles. Still, it’s more than enough to play music at a party or serve as a lullaby player for your kids’ bedroom. In fact, those that have trouble sleeping could even run this with gentle music playing all night as the battery on this model holds for 12 whole hours. And recharging is easy via the MicroUSB port. In terms of how loud it can get, the Anker Soundcore Motion B is certainly up there with a pair of 12W speakers built into it. That does mean that this model is a bit wider than usual but it’s still compact enough to carry in a bag or your backpack. 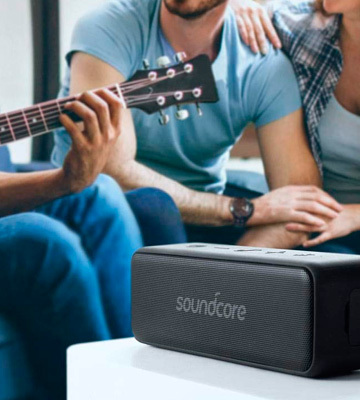 All things considered, if you want a good mid-range speaker with Bluetooth connectivity, the Anker Soundcore Motion B is a solid choice. It runs for a while on a single charge, can get pretty loud if you want it to, and the voice control options are a unique and convenient touch. Starting your day off with a nice hot shower and some tunes is a great way to end up cheery even if work is swamping you hard. But you don’t want to accidentally drown your iPhone so it makes sense to choose a waterproof set of mini shower speakers like the Ultimate Ears WONDERBOOM 984-000839. 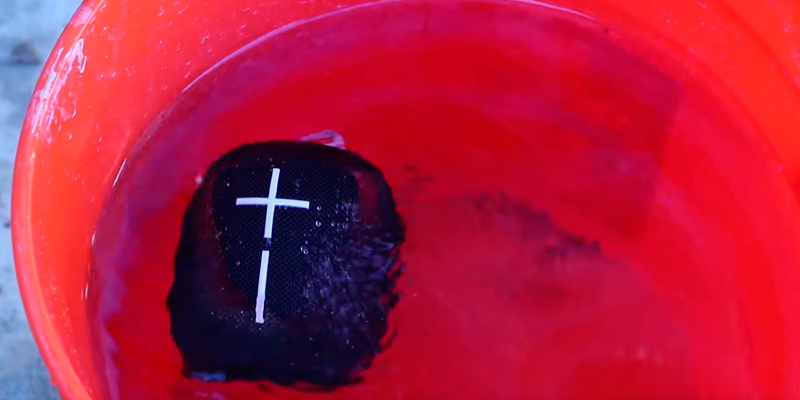 Though this cross-bearing speaker might not actually walk on water, it does have IPx7 moisture resistance. 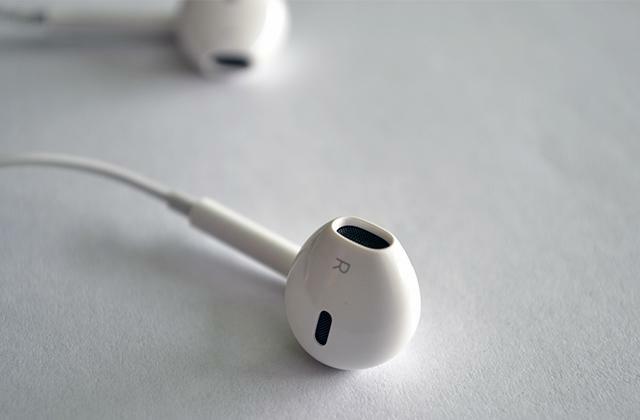 This means you could practically douse it in shower water and still enjoy the music without any damage to the device. Now, while the speaker is also drop-proof and could withstand a fall off of a slippery shower shelf, we wouldn’t recommend combining the two problems and letting the device fall into a full tub of water, for example. If you want to make sure that doesn’t happen, you can use the special hanging loop. That way the speaker will stay safe even if you don’t have a shelf. Do note that the loop tends to fray over time so check it before use. Although these speakers are pretty small at just 4" by 3.7" by 3.7", they still provide pretty loud and clear sound with 36 W of power. Most importantly, they are pretty bass heavy so the sound of running water shouldn’t drown out your tunes and leave them a mess. Good bass also means a broad range of frequencies and that’s exactly what the Ultimate Ears WONDERBOOM 984-000839 offers. With 80Hz to 20kHz range, this set offers good bass and high-quality sound, especially for mini-sized speakers. 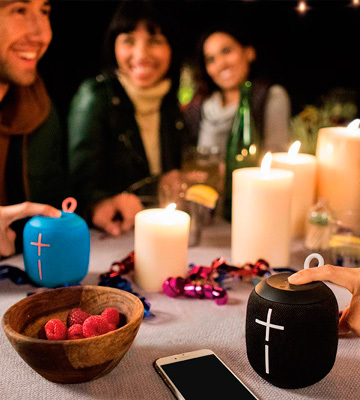 This peculiar Bluetooth speaker has no control buttons. Instead, it has a panel using which you can pause/play, skip tracks, receive calls, and adjust volume with a single touch. It actually takes a bit to get used to but when you do, the whole process looks coolly futuristic. The speaker is a bit on the heavy side, it weighs around 700 grammes, however, there are several reasons for that. The first and probably the crucial would be the powerful 2200mAh Li-ion battery that provides it with up to 12 hours of uninterrupted playback after just 3 to 4 hours of charging. Perfect for long rides, picnics, and strolling around with friends day after day. There are two drivers that offer 12 Watts of power, the sound is really nice for the device of this class and price, with distinctive basses (well, as far as it can go without a separate subwoofer) and impressive volume. 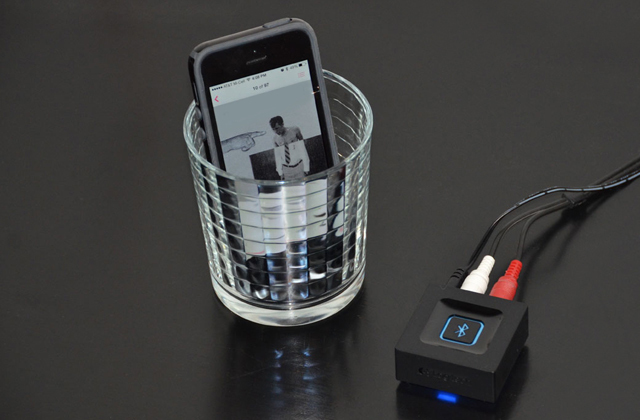 The DOSS SoundBox is compatible with all Bluetooth-enabled devices and in case your phone is dying on you and you don't have a power bank so you are wary of turning on the Bluetooth, or you have a player without Bluetooth, you can use an AUX cable for a wired connection or insert an SD card with music into the TF card slot. You can choose this model in one of four colours: classic black, white, blue, or red. The first thing we should pay our attention to is the interfaces that our Bluetooth speaker has. 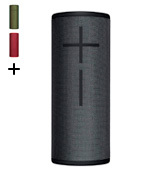 All of the modern portable speaker models are able to connect via Bluetooth, usually with a version 4.0 set by a manufacturer, which allows up to 10 m of distance for connectivity. 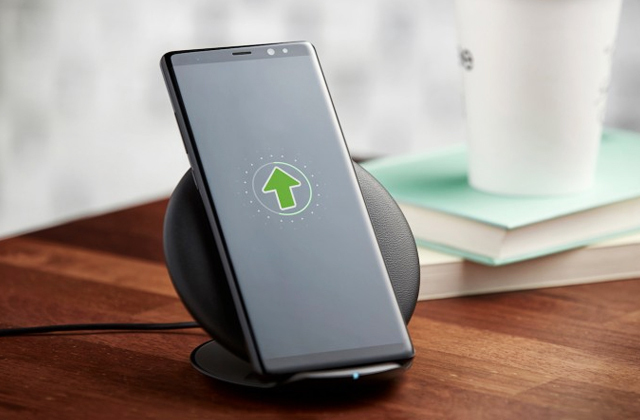 Except for that standard connection, more advanced models are equipped with a high-speed NFC protocol used to synchronise devices simply by touching one of them to another. And there are models that offer you an alternative to a wireless connection - they can be connected via AUX audio cable. The most functional models, of course, have all of those features, wireless and wire-based alike. When we are done reviewing all the different types of interfaces, next characteristic to note is Bluetooth speaker's performance. The quality and loudness of sound would mostly depend on the general power of the speaker and in order to obtain good and qualitative sounding the power should be not less than 3W. For those who look into buying a speaker for the outdoor use where there are such interferences to the sound as wind, we would recommend getting one with a power between 10W and 20W. 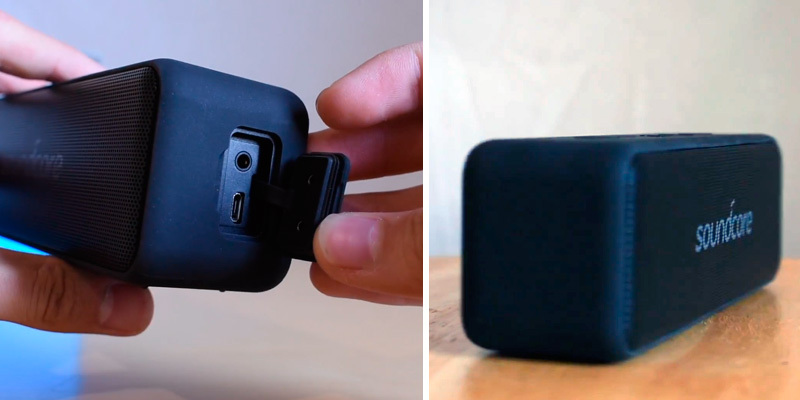 Due to the device being portable, its performance depends on the time a model can work on a single charge and also on the amount of speakers inside. 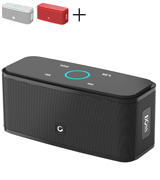 The usual operation time for Bluetooth portative speakers varies from 5 to 10 hours, but there are models able to last much longer after being fully charged. 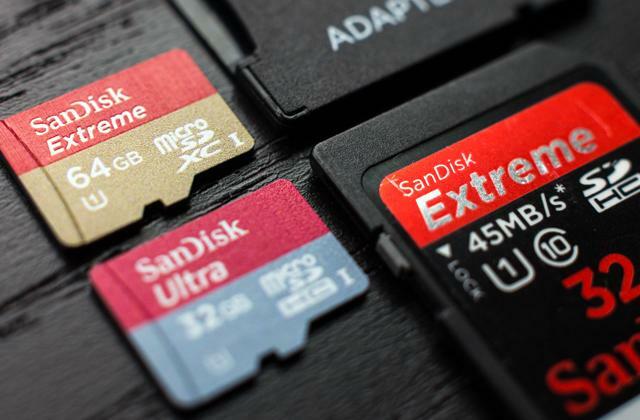 The number of drivers is also extremely important, as some may argue that devices with only one driver are unable to transfer the full richness of the original sound. For those who seek the best of sound quality, we would recommend choosing a model with more than one driver and, even better, a subwoofer, to experience everything the sound has to offer. Now it's time to have a look at other features of the model. 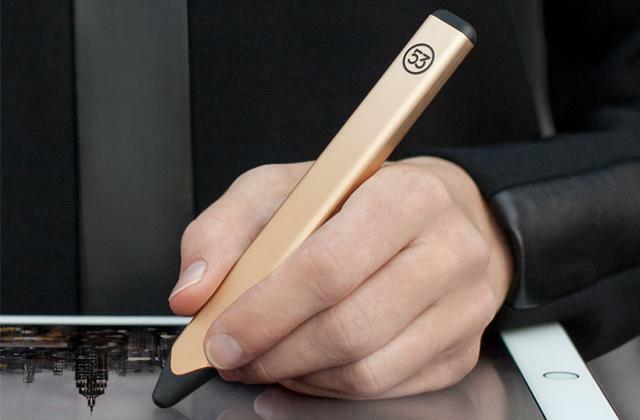 For once — size, as the device is designed to be portable. Size and weight play a big role since they influence the comfort the speaker can be carried around with. Some might want to use their speakers near the pool or at the beach. In this case, they might want to consider getting one with some kind of water and/or dust protection. 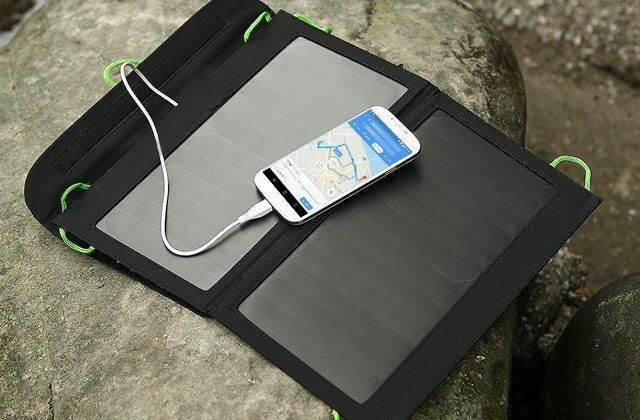 Also, there are models with a high battery capacity allowing not only a long working time but also charging your other devices using its USB port. For comfortable speaker charging some companies provide charging cradles. 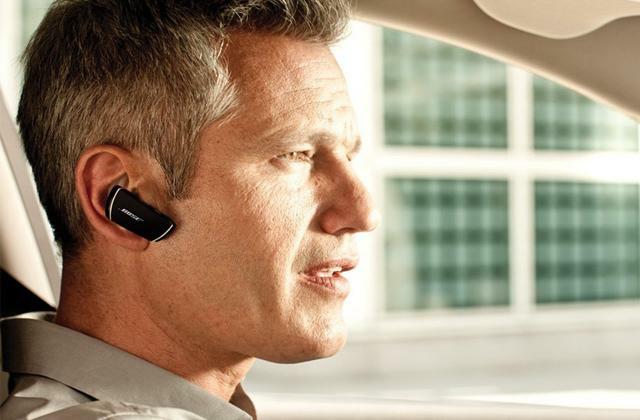 When you need to find your way through the unfamiliar area the speaker can help with voice navigation tips for some models come with a voice helper installed, which can easily help you search for information, order food, and keep up-to-date with the news. 1. Ralph Graves Bluetooth speaker buying guide, Crutchfield. June 06, 2016. 2. Ben Stockton How to buy the best wireless or Bluetooth speaker, Which? 3. Bluetooth speaker buying guide, Best Buy. 4. How to pick the best wireless speaker, Consumer Reports. March 2016. 5. Electric Jen Choosing a portable Bluetooth speaker, Teslarati. March 3, 2016.